Early dental services important for children. Dental services for children should be an issue that all parents concern themselves with from the start. When growing up, dental care is one of the most important of healthcare services that will have long term effects on the oral health of your child through to adult life. This means that parents must encourage good habits from a very early age. Parents should think about dental services for children from as early as 6 months after their first teeth break through, or by the their first birthday. It is advised that children see dentists every 6 months after this period of time - more frequently if there are underlying dental problems. Brushing your child’s teeth for at least two minutes a day - twice a day will prevent long term decay. Floss early - learning how to floss from an earlier age will encourage a positive habit early in life. Reducing the use of dummies or pacifiers which will help prevent tooth misalignment. Do not let young children fall asleep with a bottle which contains formulated milk, fruit juices or liquids with sweeteners which are particularly damaging to the enamel of teeth which cannot be recovered. Make sure your children drink plenty of water or if your water supply is not fluoridated you should consult dentists. Teach your child how to brush from an early age so they build the habit form a young age. Dental care is not something to ignore. 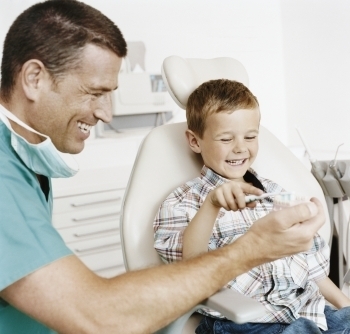 Ideal Clinics provide dental services specifically for children as well as adults. For more information about health services and dental services please visit www.idealclinics.com.